It is important that the packaging must allow air to circulate freely through the commodity, around the periphery of the container and in the area of the door. The important criterion here is to have uniform distribution of air throughout the load. This requires the cargo to be uniformly stowed. Different sized packaging obviously dictates different stacking patterns. The dimensions of loose cartons will inevitably not be sized to fit the container exactly so the resulting gap must be kept in proper location. 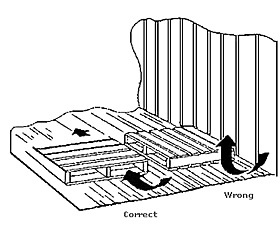 Don’t load pallets or cartons up to ceiling height, which will restrict air flow along the return air passage over the top of the cargo to the evaporator fan. Marine containers are marked with a height limit. This should never be exceeded. Where dissimilar sized packaging is used, or cargoes do not fill the container fully, it is recommended that additional empty cartons or some other material is used to fill up the void space so that the airpassages remain uniform. In order to have optimal air circulation and cooling effect. It’s advisable to pack commodity with carton and make holes in carboard all sides. Ideal commodity load pattern in reefer container. 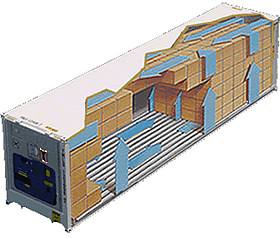 Reefer container with bottom air delivery. Reefer container with top air delivery. 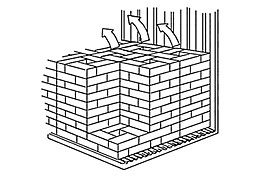 Carton stowage in chimney pattern. 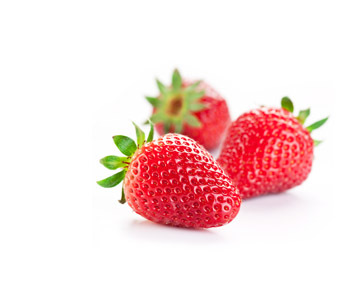 Mixing fresh products in a single reefer is very important in their compatibility. If carrying temperature is too low or too high to one product could cause cargo damage. Shipper should also be aware of the respiration levels and ethylene produced by the commodities at certain temperatures and maturity levels and their degree of tolerance or sensitivity to those ethylene. Yang Ming is glad to advise on suitable product mixes and you may refer to the Compatibility of Fresh Products table for further details.